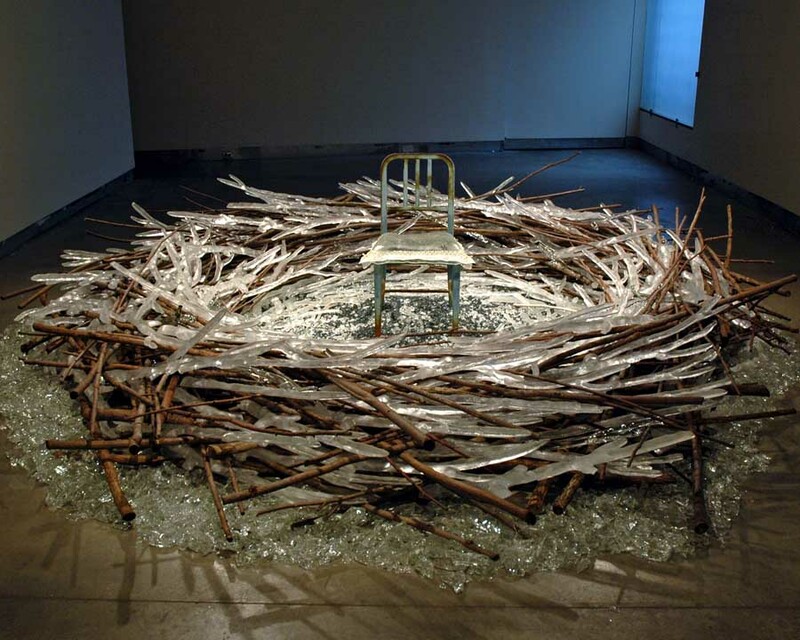 “The Communal Nest” 2008 3′ x 12′ x 12′ Glass and mixed media sculpture. Chair is life-sized. 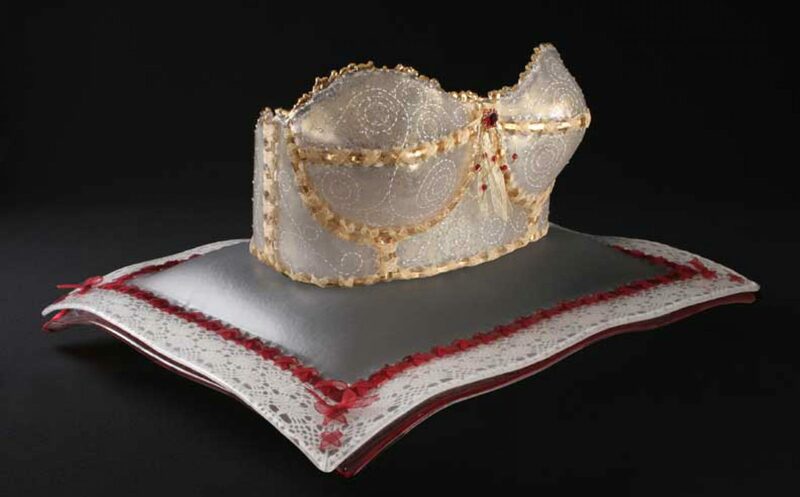 Sewn glass pillow in center. Available at Heller Gallery, NYC. Installed by artist.